How and when did you discover your love for running? Probably when I moved to Cape Town. Noordhoek’s endless beach begged to be run on. I started slowly with a run/walk strategy. When I met my partner, we started trail running on Red Hill and Elsie’s Peak. Running makes me feel free, especially when you get into a rhythm, your body warms up and you almost feel like you are flying. You also come home with new energy. All the little things you were putting off doing, are now easy. What techniques do you use to motivate you in running? I am motivated the most when I have a race coming up! Other times, I keep reminding myself how good it will feel when it’s done. What races have you completed, which were your favourite and why? Last year I started competing more regularly. I have done three Two Oceans half marathons, the Cape Town Marathon and lots of other road and trail races. 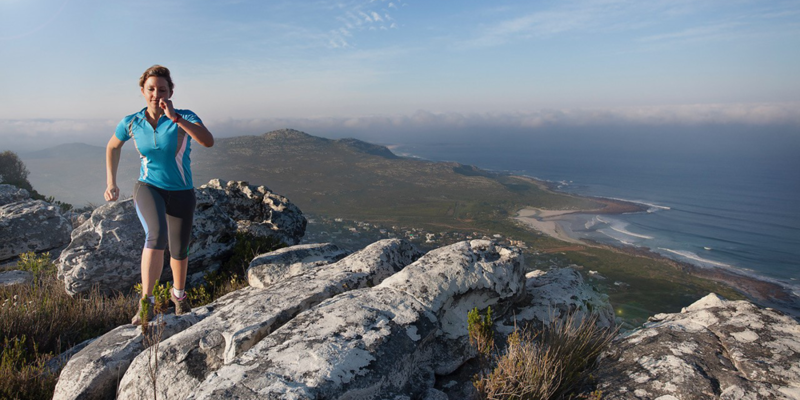 My favourite is probably the Milkwood 21km Run, which takes you through stunning sceneries in Kommetjie and Scarborough. I managed a personal best, even though I was worried that my training wasn’t enough. What is the next big race that you are training for? Next year I want to tackle my first Two Oceans Ultra Marathon, but first, I must qualify so I need to train for the Cape Town Marathon, which is in September. If I have been for a hard run, I will try to get away with reading a book in bed or watching Netflix. There are always my plants to look after so even if I am tired I need to water them. On days that I don’t run I usually still get out walking our dog at the beach or going for a hike. I want to run a sub two hour 21km and I am always trying to get PB’s in the 5km and 10km. 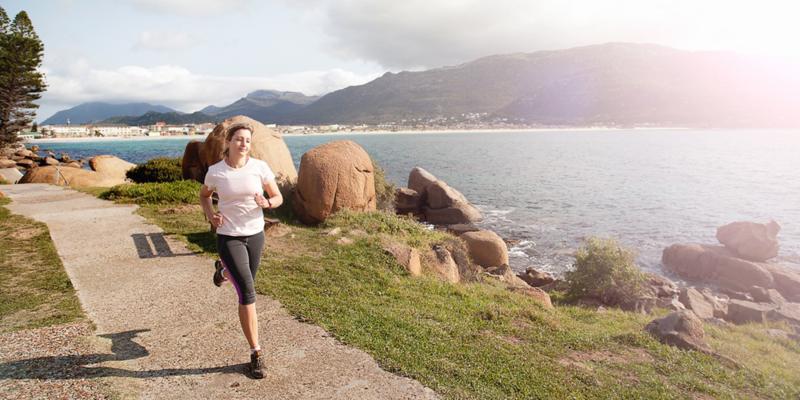 What is the most valued lesson that you have learned from running? I learnt to push myself harder as one can see from your results, if you have been putting in a consistent effort. What advice would you like to give anybody that would like to start running? Definitely take small steps and start out with a walk/run strategy. Don’t try and go out at a sprint. Oh, and the first few minutes of any run are the hardest, when your lungs are burning and your heart is racing. What do you like about Catch Me If You Can? I love the different routes the girls organise, it also feels much more reassuring in a group and we get to run world-famous places like Chapman’s Peak. Teresa’s love for running is evident in her lifestyle, her achievements and friendly smiles throughout every tough run. Thank you Teresa for taking the time to share your running journey with us. We cannot wait to run with you again and wish you all the best for your running goals. May you challenge and conquer your fears and celebrate your victories.